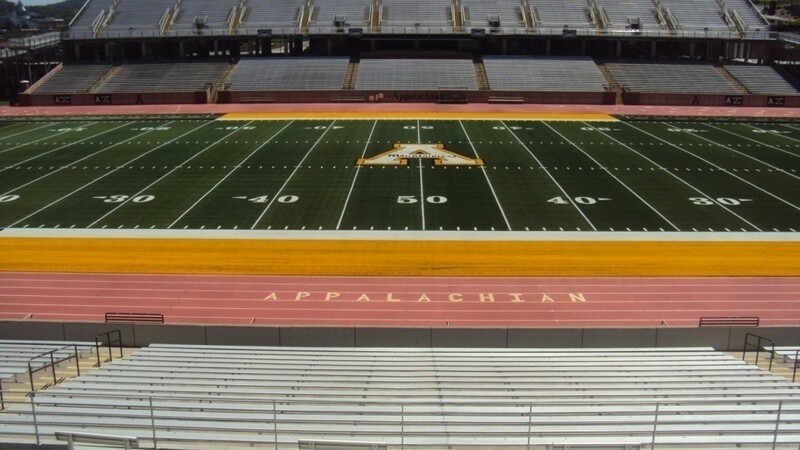 Appalachian State University re-engaged Stewart in 2010 for the replacement of the artificial turf field, stormwater improvements, and modifications to the “D” area of the track. 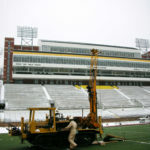 This project involved the design of the artificial field to replace the 2003 turf (originally designed by the team), remove the original field crown and perimeter drainage system and install a new stormwater under drain system, base media and track surfacing improvements in the “D” area to host additional events and for versatility. Infill-type artificial turf was used, consisting of a sand-rubber mix with inlaid letters and markings. 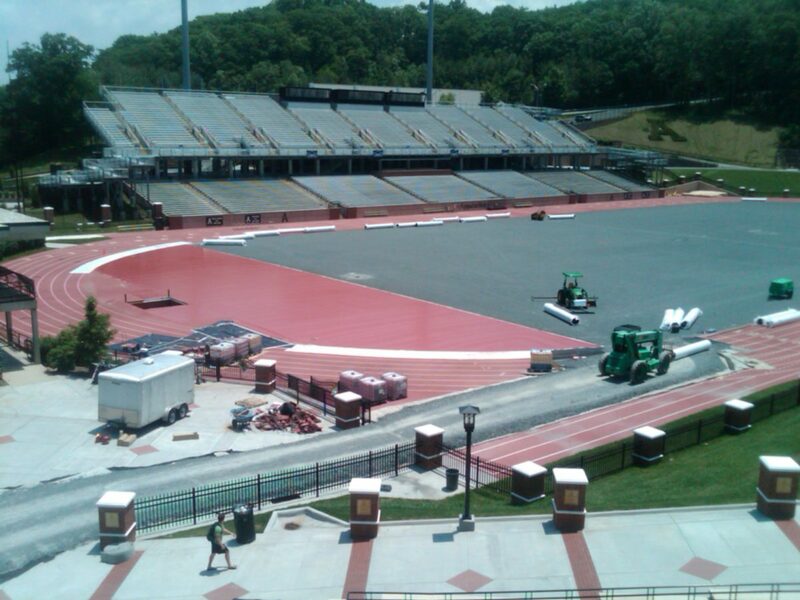 The existing turf was shredded and recycled, avoiding a large amount of waste being sent to the landfill. 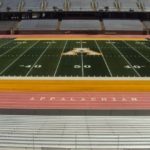 The client desired the replacement of the football field turf and removal of the original crown. 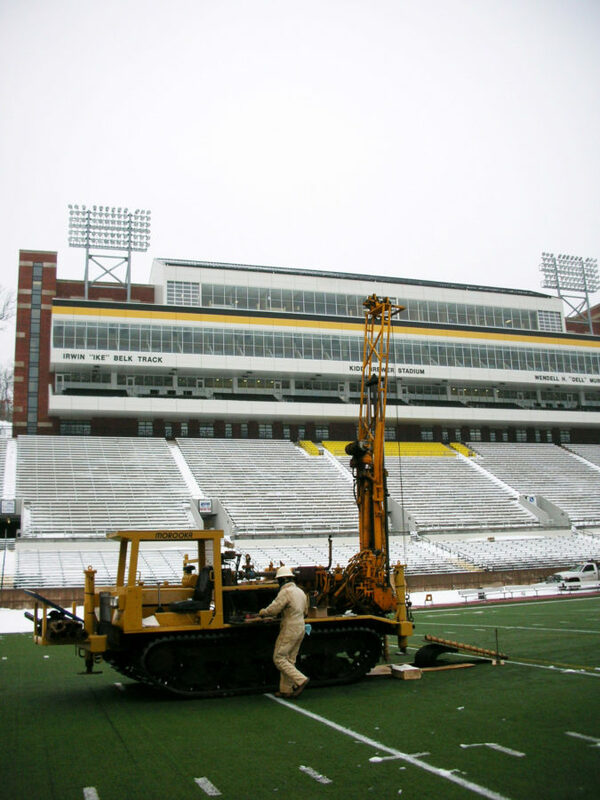 Stewart investigated the subgrade of the field with a drill rig primarily to confirm the existence of rock and the depth of the original Astroturf and asphalt base to confirm the ability to install a subsurface stormwater drainage system. 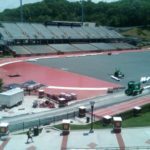 In addition, we installed track surfacing on the “D” area to host high jump and moved the steeplechase pit into the edge of this area. We designed a concrete pad under the “D” area so the university could add temporary bleacher seating to accommodate additional seating for home football games. This provided the client with both flexibility and additional revenue.